Essential Family Chiropractic is a Columbia Maryland Chiropractor, providing a wide range of chiropractic and physical therapy services to Howard County, and was started in 1999 by Dr. Eric Lindsell. 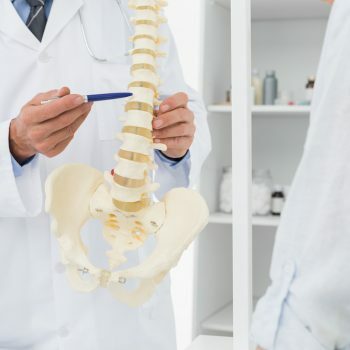 Dr. Lindsell and his staff offer a complete range of chiropractic care in Columbia, Maryland and physical therapy services focused on providing natural health care without drugs or surgery. A chiropractor uses spinal adjustments to correct misalignments (called subluxations) and restore proper function to the nervous system. This helps the body to heal naturally. Chiropractic doesn’t use drugs or surgery. Instead, a chiropractic spinal adjustment-the application of a precise force to a specific part of the spinal segment-corrects the misalignment. This permits normal nerve transmission and helps the body to recuperate on its own. Chiropractic services are an essential component to reach your maximum health potential. Chiropractic, like dentistry, focuses on wellness, instead of just treating pain. As a Columbia Maryland Chiropractor, Essential Family Chiropractic has been providing these specialized services to Howard County for over 19 years. Similar to the regular maintenance of your teeth and gums that avoids dental issues, regular Chiropractic Care avoids malfunction of the spine. These subluxations create interference in your nervous system. Like tooth decay that comes from neglect, subluxations are often preventable. Many adults suffer from subluxations that don’t translate into immediate pain or symptoms that may have started in childhood. Our bodies aren't designed to look down, so raise your mobile device up to your eye level. A high-quality mattress is usually worth the investment, considering the effect a mattress can have on your overall health and comfort. Chocolate may improve cognitive function within hours. Need an excuse to raid that chocolate stash? A new review may provide just that. Researchers have found that cocoa flavanols could boost cognitive function within just a few hours of consumption. Posture ranks right up at the top of the list when you are talking about good health. It is as important as eating right, exercising, getting proper rest, and avoiding potentially harmful substances. When the joints in one area of the body do not move the way they should, other areas of the body are forced to move more in order to compensate. This creates a significant stress on those areas that have to pick up the slack. Improving posture may offset the daily stress most people put on their neck by sitting at a desk. And don't forget to move! Early spinal decay is often a result of poor spinal alignment that is left uncorrected. This is an important fact to keep in mind when considering whether to maintain your spinal alignment even when you are asymptomatic. To most people, “good posture” simply means sitting and standing up straight. Few of us realize the importance of posture to our health. The human body craves alignment. Creepy crawly misery. I can’t speak for everyone else’s experience with Restless Leg Syndrome, but that pretty much sums it up for me. I struggled with this sleep thief off and on since I was about 8 years old, and was taking tranquilizers to manage it by my early twenties. Improving your posture may reduce your risk for cervical degeneration by improving your cervical curve. This will help to offset the daily stress most people put on their neck by sitting at a desk or in front of their computers all day, or by sitting in traffic and driving with poor posture, which often leads to the condition referred to as FHP, Forward Head Posture.